Since the 19th century, inventors have designed increasingly complex, automated machines to supplement, enhance, and even replace human activities. While many welcomed mechanization as a labor-saving and even lifesaving boon, others expressed fears of a world of mechanical droids or of being supplanted by automation. 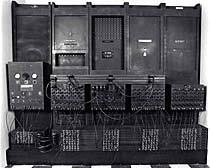 The machine that launched the computer industry, ENIAC (Electronic Numerical Integrator and Computer) was developed during World War II to compute artillery range tables. John Mauchly and J. Presper Eckert designed and built the computer at the University of Pennsylvania. This is only a small portion of ENIAC, which altogether took up 1,500 square feet of space, weighed 30 tons, and contained 18,000 vacuum tubes. While ENIAC could function much faster than the human brain, its capability was still lower than a modern scientific calculator. It also required a large staff of tube-changers, programmers, and operators to keep it running. Efficiency experts Frank and Lillian Gilbreth took time-lapse photographs and used customized watches and clocks in an attempt to find the “one best way” to do a job. 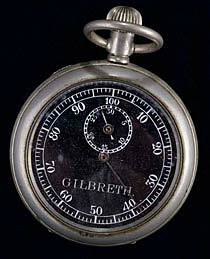 The Gilbreths were pioneers of the early-20th-century movement known as scientific management. By separating “thinking” from “doing” and reducing jobs to a series of physical repetitions, scientific managers hoped to maximize efficiency, increase productivity, and boost corporate profits. Workers, however, feared they were being turned into machines. 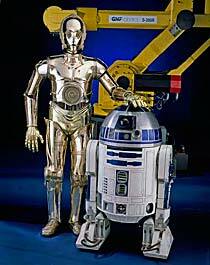 Created by Star Wars filmmaker George Lucas, these two “droids” are among the most famous of all science-fiction robots. The little R2-D2 is spunky and resourceful, while his companion, the more human-looking C-3PO, is a bit of a worrywart. Of course, each of these robots was really a costume with an actor inside. Human-like robots have long been a staple of popular culture, depicted in both positive and menacing ways. In reality, while engineers have made great strides in practical robotics and artificial intelligence, real robots seldom appear in human form. 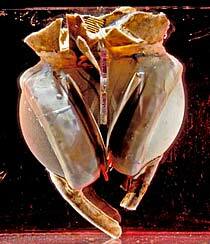 The first total artificial heart implanted in a human, this device was developed by Domingo Liotta and implanted by surgeon Denton Cooley on April 4, 1969, at St. Luke’s Episcopal Hospital in Houston. The recipient, Haskell Karp, lived for sixty-four hours with the artificial heart until a human heart was available for transplant. Although Karp died soon after receiving a real heart, the procedure demonstrated the viability of artificial hearts as a bridge to transplant in cardiac patients. However, some criticized the surgery as unethical because it was performed without formal review by the medical community.